Hi, I've got a 20mm AVO RSB on my 2006 LL Bean, and I think I may have asked you before, but will your bushings work with this one? The Whiteline no-squeak and the AVO bushings make a lot of noise. Thanks for your time. I would like to order the 85d front and rear - can you please provide instructions on how I can do that - would email be better and do you except PayPal? Hi there - was speaking with a connection at LP Aventure about transmission thrash. They mentioned your CKE SSP Bushings. In looking through I see this should fit mine but looks like product is no more. I've got a 2013 3.6 with auto trans. Please advise. Sounds like your product is the fix I need. If it's no longer available or won't be can you suggest an alternative? thank you. I'm getting ready to replace the rear axle bearing assembly on my OB. Previously, I installed NAPA brand and they lasted a little over a year. I'm hoping that was just an anomaly! I'd rather not get into pressing the bearing out and back in. So, with that in mind, do you have any preferences or dislikes? I'd really like to not replace these every year! I believe only one is bad but will probably order 2 since this seems to be a weakness on the Gen 3's. Another user said you might have some direct links that would be helpful in aiding me in the removal of the faceplate for the stereo/climate control faceplate. I'm having an issue where all the lights on the center stack work, but none of the controls are responsive to touch, and the screen is black. The upper screen display is functioning - the time/mileage display, but that is the only part of the center stack with any function. It's a 2005 3.0R Wagon. Any info you'd have would be greatly appreciated! I'll go with whatever you recommend. email is [email protected]. I have paypal. Also, will it contain installation instructions? If not can you guide me to the place hre in the forum that has them. 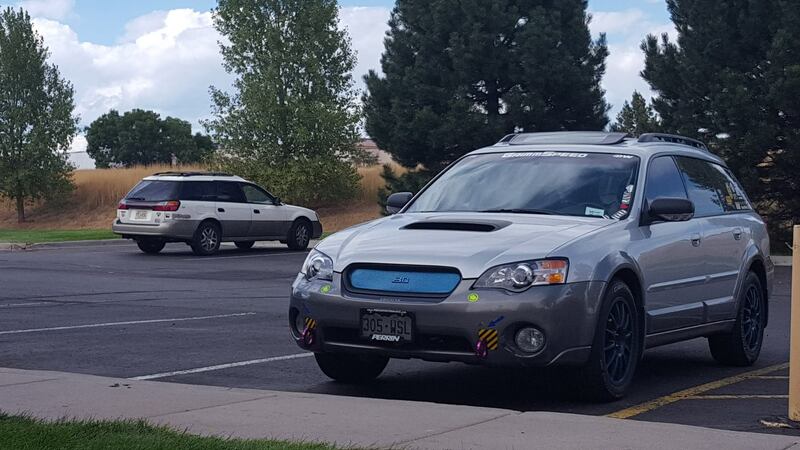 Question for you, I havbe a 2016 3.6r Outback with a Primitive 1.5" lift kit, WRX rim and KO2. I have the low speed wobble around 20 mph. What, if any, insert would you recommend and what is the price for it. I think these look great on any color. They look great on the Red car. And I hate red, never wanted red. And who would have thought that Blue Wheels would look good on red car. Not Me, but they look the sh*t. They look better than they do on Frankie. But Frank has it under the hood. You are new ... I have been here a long time. Meet Frank. I like the "Senior Citizen Gold"
They currently don't have rubber mounted. But you can come over and mount up a wheel and take a look. No harm-no Foul. Didn't know "Visitor Messages" was an option, thanks! My car is gold, so i'm not sure how well bronze rims would work but if don't find something to mount winter tires on soon, I will definitely take them. I'm out of town for the weekend and will let you know whenever I get back in. I found a post where you mentioned you have become quite the specialist in OB front end rattles. Well, I am becoming desperate. I have a 2013 OB 3.6r. I have a "clunk/rattle" from the front end when going over bumps. 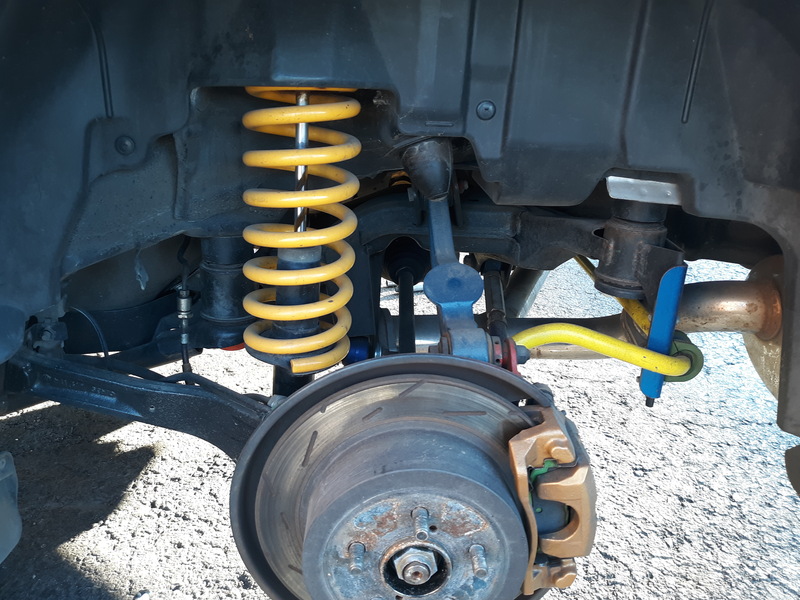 My initial thought was that it was a loose battery, as it's a big loud clunk when hitting a pothole, and more like a bouncing rattle when going over consistent bumps like washbar on a gravel road. It is also worse on the left side. It wasn't the battery. Pulled out alot of hair, and drank a lot of whiskey. so far the only thing that has helped is the whiskey! 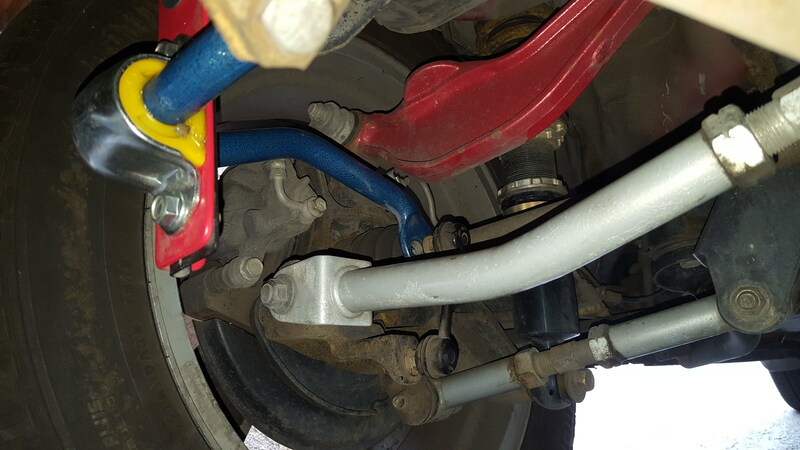 I have had local subaru dealer, and a local shop check it out, and find nothing wrong with the suspension. Do you have any ideas at all? I am a Denver Co Resident. I use my Outback a daily driver in the city and recreational use. 01:30 PM - traildogck mentioned Brucey in post XT vs H6 (2003) ? 11:30 AM - 1 Lucky Texan mentioned traildogck in post XT vs H6 (2003) ? 11:34 AM - eagleeye mentioned traildogck in post New to Outback - Should I get Gen 3 or Gen 4? 08:12 PM - traildogck mentioned CO_Subie in post I'm getting dash cams NOW and why you should too. 09:17 PM - CTZ mentioned traildogck in post What did you do with your 5th Gen Outback today? 06:08 PM - eagleeye mentioned traildogck in post NYC = First Auto Show for 2020 OB !! 04:28 PM - eagleeye mentioned traildogck in post Cracked/Chipped Sundial wear diff meets axle, Big deal? 07:27 PM - eagleeye mentioned traildogck in post 02 H4 acting a little boggy / spazzy. ...ative, as rasterman traildogck Brucey can attest. 01:30 PM - traildogck quoted AudiA8 in post XT vs H6 (2003) ? 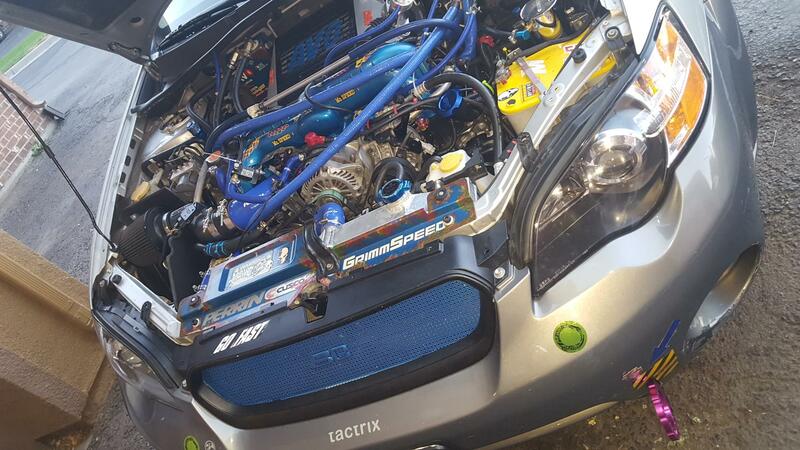 09:07 PM - traildogck quoted fmxr47 in post What did you do with your 3rd Gen OB today? 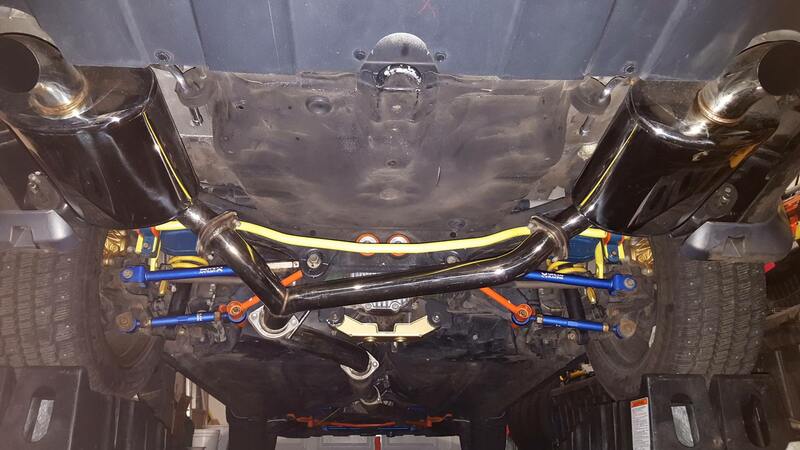 08:53 PM - traildogck quoted fmxr47 in post What did you do with your 3rd Gen OB today? 02:51 PM - traildogck quoted marcelo_pe in post Hello, world! 08:28 PM - traildogck quoted coolerbythelake in post Calling all 3.6r owners! 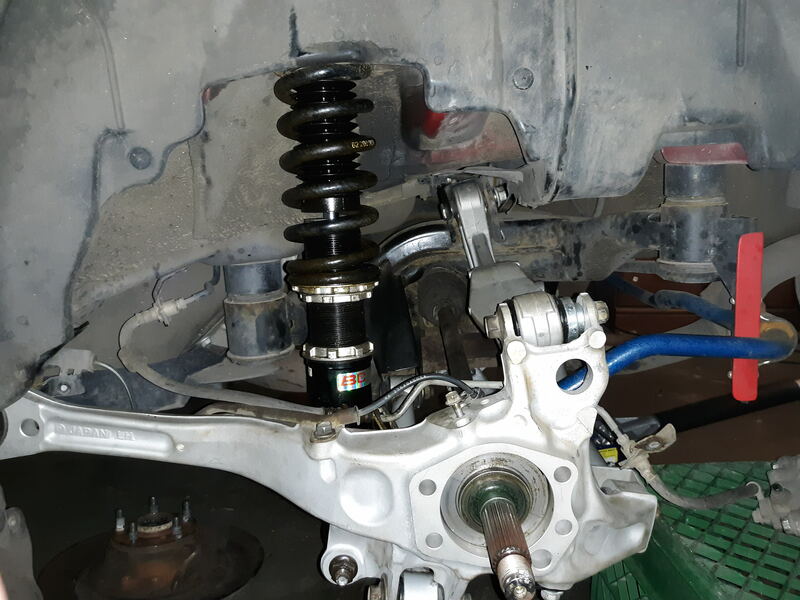 03:54 PM - traildogck quoted fmxr47 in post What did you do with your 3rd Gen OB today? 02:51 PM - traildogck quoted 'Radobaru in post NYC = First Auto Show for 2020 OB ! !